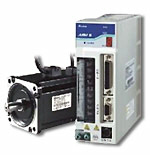 The B series is a digital servo system with standard functions. It provides built-in Position / Speed / Torque control modes and supports pulse command input and analog signal control. Parameters editing and operation is done via an optional handheld digital keypad. The gain tuning function allows easy operation and the internal memory blocks shorten the parameters upload and download time. The B series is a cost-effective and satisfactory servo system that fills the most basic and functional requirements of industrial automation field. Pulse commands and analog voltage signals are accessed via input / output interface – CN1. D-sub connector is provided for no troublesome wiring and connection. Convenient handheld digital keypad is helpful for parameters editing and operation. Internal memory blocks stored in the handheld digital keypad allows the users to read and write the parameters of the servo drive. Easy gain tuning is done via the handheld digital keypad or using Delta’s free Windows® based software where the user can store, teach, and monitor the operation of the servo system. 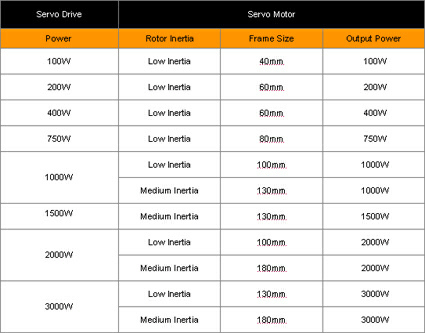 Purchase your Delta ASDA-B AC Servo Motors today!